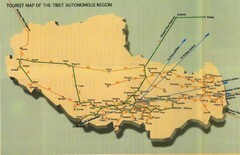 Tibet travel map showing roads, distances between cities and routes to other cities. 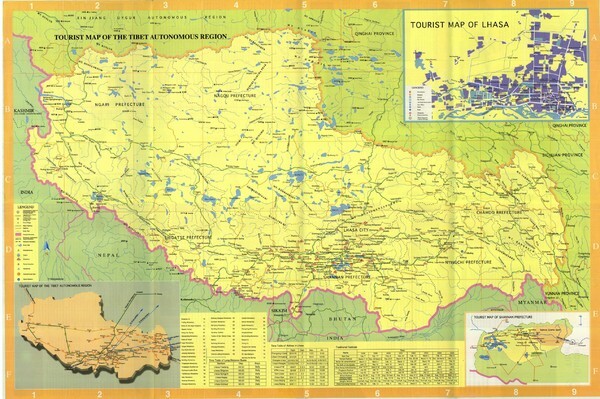 Outline map of Tibet counties. 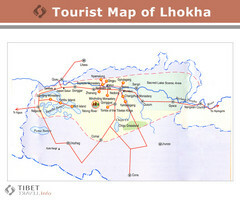 Tourist map of Tibet showing interesting sights, cities and topography in English.